大家好！ (Hi, everyone!) This is Mandarin Weekly #93, with links and information for those of us learning Chinese. More than 3,500 people from around the world now subscribe to Mandarin Weekly. If you enjoy it, please share it with your teacher and/or fellow students! This newsletter will always be completely free of charge. To receive Mandarin Weekly in your e-mail inbox every Monday, just use the box on our Web site, at MandarinWeekly.com. Or follow us on Twitter, at @MandarinWeekly! We’re also on Facebook, at http://facebook.com/MandarinWeekly. As of last week, we’re also on Medium! Check out http://medium.com/@mandarinweekly, and read/recommend us there, if you prefer. Giveaway: Five one-year subscriptions to Zizzle App! This week’s giveaway is a one-year subscription to Zizzle App, a new smartphone app for learning to read Chinese. Five readers of Mandarin Weekly will receive a free subscription, for either iOS or Android! Beginner When should you use the word 些(xiē) to describe some things? Is it mandatory? Beginner Chinese has some sounds that don’t exist in Western languages, and which sound similar to others. For example, “ch” and “q” are similar, but distinct. How can you pronounce these — and how can you train yourself to hear the differences? Intermediate How would you say “it depends” in Chinese? Intermediate In English, we can say “passed away” as a softer version of “die.” How can we express the same softness in Chinese? Beginner We can ask quantity questions with either 几 (jǐ) or 多少 (duō shǎo). When is each appropriate? 大家好！ (Hi, everyone!) This is Mandarin Weekly #92, with links and information for those of us learning Chinese. More than 3,000 people from around the world now subscribe to Mandarin Weekly. If you enjoy it, please share it with your teacher and/or fellow students! This newsletter will always be completely free of charge. Beginner These three characters are all pronounced “de,” and they all help to modify other words. But how do we use each of them? Do native Chinese speakers distinguish significantly between the “in” and “ing” endings? If so, where and how? Intermediate The words 再 (zài) and 又 (yòu) both mean “again,” but are used differently. How? Beginner Why would I use the phrase 麻烦你 (má fan nǐ)? Beginner The word 哥哥 (gē) means “older brother,” but you can also say just “哥.” What’s the difference? Intermediate 成语 (chéng yǔ) are four-character expressions. They can be interesting and even poetic, but how often are they really used in conversation? 大家好！ (Hi, everyone!) This is Mandarin Weekly #91, with links and information for those of us learning Chinese. More than 2,500 people from around the world now subscribe to Mandarin Weekly. If you enjoy it, please share it with your teacher and/or fellow students! This newsletter will always be completely free of charge. Our latest giveaway is for Olle Linge’s “Hacking Chinese” book. Want to enter? Just go to our giveaway page! There are lots of resources out there for learning Chinese. But resources aren’t enough: You also need a strategy. A direction. A way of prioritizing your use of learning materials, so that you can achieve the greatest degree of fluency in the least amount of time. Enter Olle Linge, whose site ”Hacking Chinese” is one of the best known, and most consistently excellent, sources for such strategies. Linge has learned Chinese, and has also learned how to teach Chinese — and along the way, has discovered and written about numerous techniques that can make your Chinese-learning experience faster, smoother, and more productive. In his ebook, also called ”Hacking Chinese,” you get hundreds of pages full of practical advice for structuring your Chinese learning. How should you approach characters? How can you surround yourself with Chinese, even if you’re living outside of a Chinese-speaking country? What is the best way to practice your listening comprehension? I learned a great deal from this book, and am sure that no matter what level of Chinese you have, you’ll gain a great deal from it, as well. That’s why I’m delighted to announce that we will be giving away three copies of the “Hacking Chinese” ebook. If you’re already learning Chinese, but want to improve how you’re learning, then this is a great book to get. As with all of our giveaways, you get additional chances to win for every friend you get to enter! Share the giveaway with your friends, and increase your odds of getting this book. If you want even more than the book, there’s a full-blown ”Hacking Chinese” video course. As an extra offer on top of this giveaway, Olle is offering Mandarin Weekly readers a discount of $10 from the course through Thursday, October 13th; just use the coupon code MANDARINWEEKLY to get the discount. The giveaway ends on Monday, October 17th. Go to the giveaway page, and enter to receive one of three copies of the “Hacking Chinese” book. Beginner So, you’ve learned some Chinese, you go to China, you start to speak with someone, and then (horrors!) they answer you. The problem? They are so impressed by your Chinese, that they speak at native speed, with word you haven’t yet learned. How can you ask someone to slow down, or tell them that you don’t understand? How can and should you approach improving your Chinese reading? Intermediate For many people learning Chinese, the 把 (bǎ) structure is daunting. How do we use it to alter the standard subject-verb-object word order? Intermediate The words 周 (zhōu) and 星期 (xīng qī) can both mean “week.” What’s the difference between them? Advanced What’s the difference between 摆 (bǎi) and 放(fàng)? Beginner Is it possible to learn Chinese only as a spoken language, without learning to read and write it? What mistakes do natives make? Those of us learning Chinese make mistakes all of the time. But what mistakes do native speakers commonly make? Advanced If you want to say that you “just did X,” do you use 刚 (gāng) and also 了? Or is 刚 sufficient on its own? 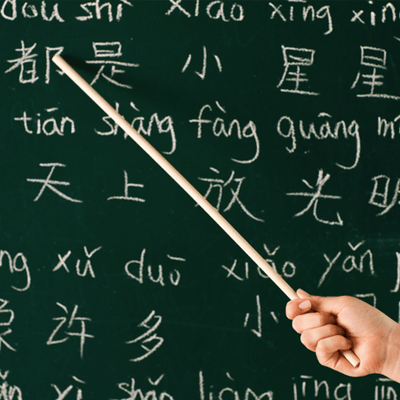 Do native Chinese speakers learn the tones at school, at home (via conversation), or both? 大家好！ (Hi, everyone!) This is Mandarin Weekly #90, with links and information for those of us learning Chinese. More than 2,000 people from around the world now subscribe to Mandarin Weekly. If you enjoy it, please share it with your teacher and/or fellow students! This newsletter will always be completely free of charge. Intermediate How do you describe percentages, and/or the decimal point, in Chinese? Intermediate Chinese characters have evolved over time, and the history of their forms can be fascinating. Where can you learn about this history? Advanced What’s the best way to talk about surviving a natural disaster? Advanced The verbs 喝 (hē) and 飲 (yǐn) both mean “to drink.” What’s the difference between them? Advanced Where can you find readers (i.e., books for learners) in traditional Chinese?